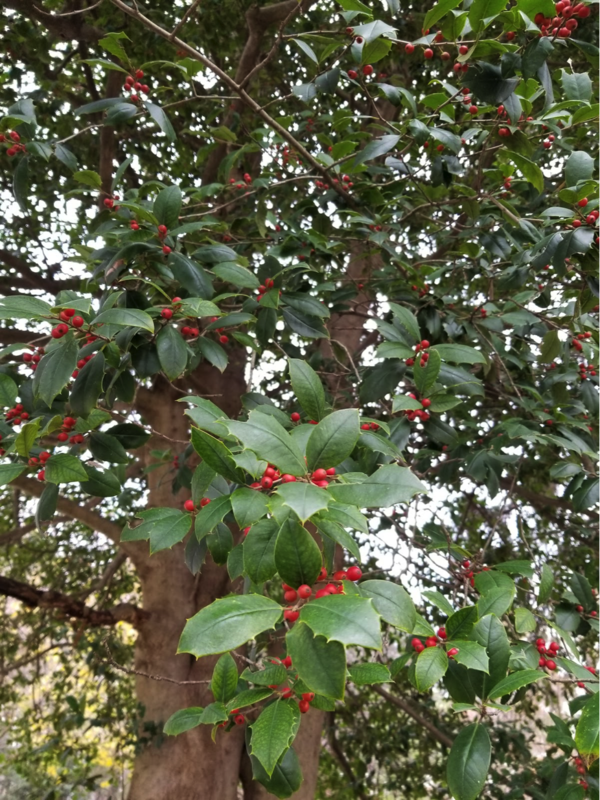 A mature American holly, Ilex opaca. Photo by Ryan Davis. American holly is a slow-growing, shade-tolerant small tree found on dry sites, while winterberry holly is a small shrub found in wet soils. The fruit of these hollies and their relatives are important winter food sources for wildlife, but induce vomiting in humans if ingested. 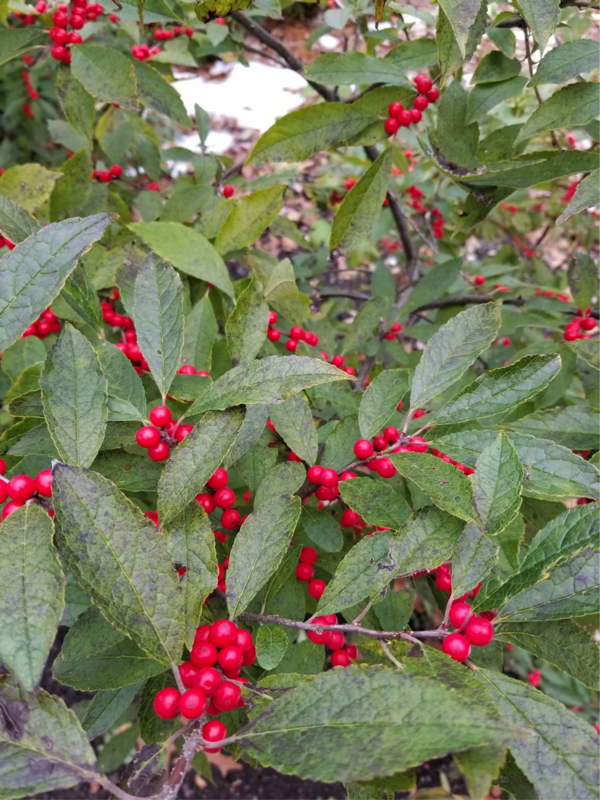 Many other native species of the quirky holly genus are found in the Chesapeake Bay Watershed, from the high-elevation mountain winterberry (Ilex montana) to the oddly-named possumhaw (Ilex decidua), which is stunningly pretty in the winter. Yaupon (Ilex vomitoria), which is common in the southeast but just barely makes it into the Watershed in southeastern Virginia, was treasured by native American cultures for its caffeinated leaves, and misnamed by Europeans who thought it was used in indigenous rituals to purge before battle. If you’re looking for holly in your local woods, it shouldn’t take you long. The dark green leaves of American holly stand out in a forest of deciduous trees, and the sharp red berries of winterberry, possumhaw, and other hollies send bright flashes of color from wetlands and oldfields. What better way to decorate than to bring home a sprig of native holly? Winterberry holly, Ilex verticillata. Photo by Ryan Davis.